Busy working moms don't always have time or space to host a shower for their best friends or family -- and going out to a local eatery can be a real treat for a mom-to-be. This fresh nautical-themed shower in vintage inspired colors showcases what can be done if you decide to take your party shower out. Itsy Belle's paper set of printable designs in vintage aqua and sunshine gold inspired our designs. Post Modern. We love using a variety of strong colors, interesting textures and shapes...and flowers or succulents! We dressed up store bought desserts with lovely printables from Itsy Belle, a featured PN paper vendor and brought in our own dressed up cloth napkins. Bright flower arrangements in little shoes are something anyone can do and other details including centerpiece cut outs from Creativities Galore add to the cheeriness of this party. Party photographed by Maria Healey. 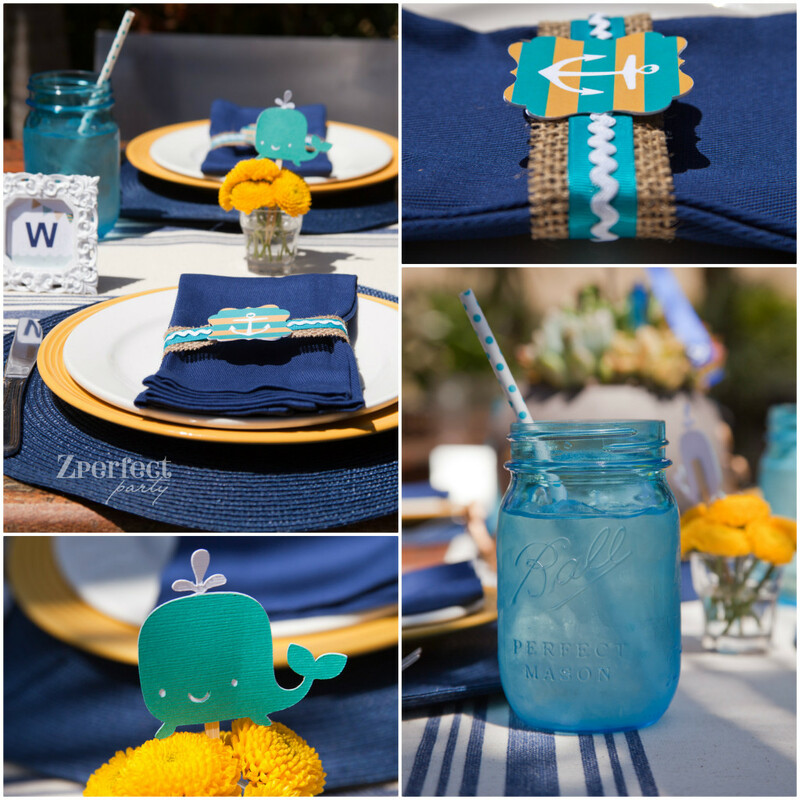 The colorful little onesie banner we layered over the dessert table and the cornflowers in shoes. Always take into account the look an feel of the space you are decorating. Event planner in north coastal San Diego who loves helping new mom's celebrate their child's first birthday!